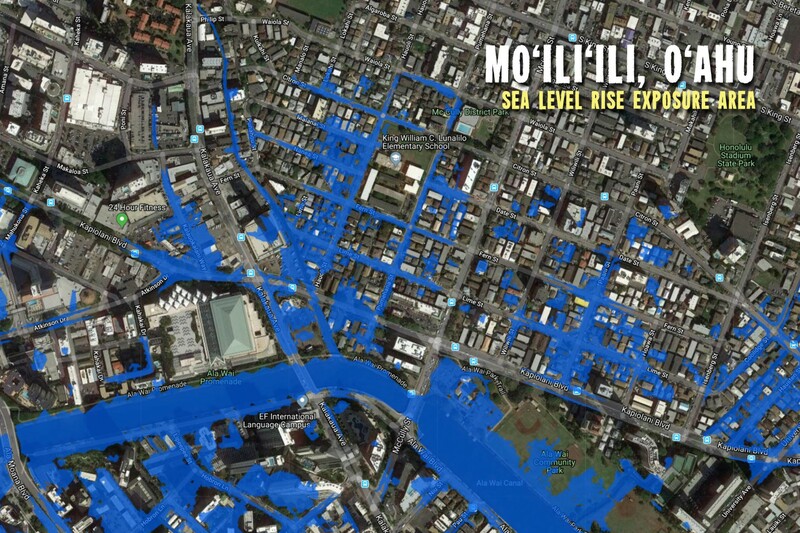 A map from the Climate Commission report shows sea level rise impact on Mo’ili’ili, O’ahu. Gov. 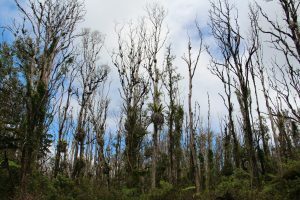 Ige has made biosecurity and fighting against invasives such as rapid ‘ohia death one of his top priorities for the state. 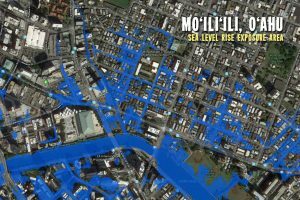 every island was prepared by the Department of Land and Natural Resources’s (DLNR) Office of Coastal and Conservation Lands. The Climate Commission is planning a major summit on climate change for early 2019. Expanded biosecurity strategies – The Ige administration has produced the state’s first Interagency Biosecurity Plan to take an aggressive approach to fighting invasive species such as rapid ʻōhiʻa death and little red fire ants. Governor Ige has made biosecurity his top issue as the chair of the Western Governors’ Association to develop strategies with other states. The state has also created an online permitting system to facilitate review and inspection by the Plant Quarantine Branch. Field technicians work statewide to protect vital watershed forests. 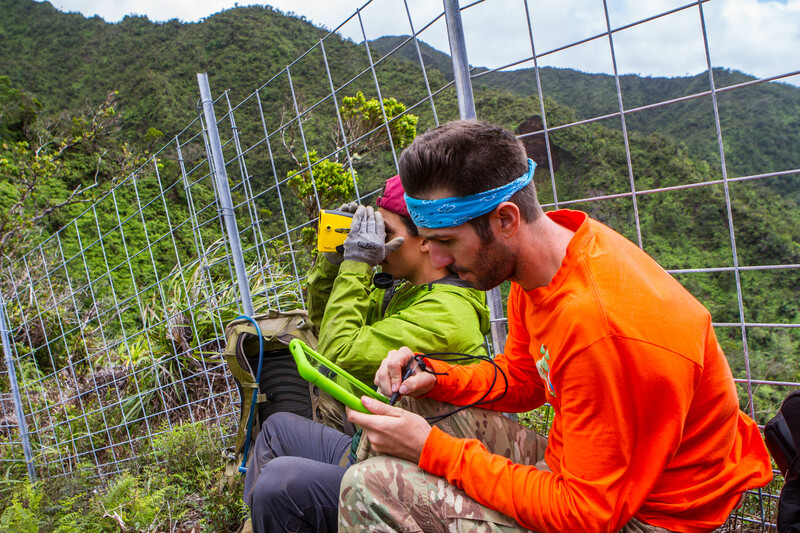 Helemano Wilderness Recreation Area, the area will protect vital water resources and native species protection and offer opportunities for outdoor activities and conservation management. The State Commission on Water Resource Management is focusing on better water management for whole ecosystems. Its decision on interim instream flow standards for East Maui watersheds protects ecosystems, taro farming, Native Hawaiian practices as well as other agricultural and domestic uses. DLNR’s first-ever Law Enforcement Training Academy for new conservation officers honored four graduates. Their broad training covers protection of natural and cultural resources and enforcement of all related laws and rules.